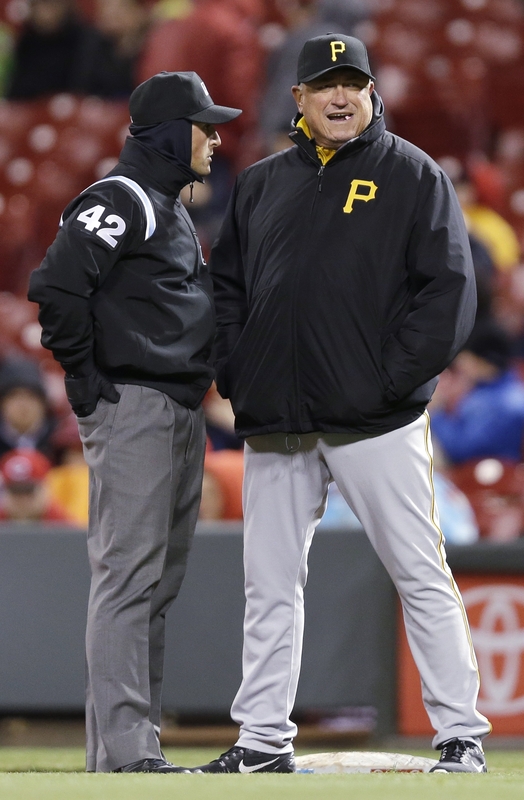 Pittsburgh Pirates manager Clint Hurdle, right, said some players were afraid to ask for paternity leave because of job security. Tony Perez was on the road with the Cincinnati Reds in 1966 when he got the call that his first child was on the way. There was no discussion about leaving the team to attend Victor’s birth, no such thing as paternity leave. New York Mets second baseman Daniel Murphy was criticized on sports talk radio this month for taking three days, which is provided for in baseball’s rules, to spend time with his wife and newborn son Noah. But in the days that followed, Murphy received wide support from players and coaches who say the times have changed. Baseball’s general managers and the players’ union recognized this trend a few years ago. At the GM meetings in 2011, a rule was drafted to allow a team to place a player on the paternity leave list for three days and call up a replacement from the minor leagues. It doesn’t always go so smoothly. In 1993, Houston Oilers offensive line coach Bob Young said right tackle David Williams “let the guys down, and he let hundreds of thousands of fans down” when he chose to miss a game against New England to stay by his wife’s side while she gave birth to their son. In Murphy’s case, sports talk radio hosts Mike Francesa and Boomer Esiason questioned him for missing two games at the start of this season. Esiason quickly apologized after a host of athletes, coaches and family groups came to Murphy’s defense. Rollins, Dodgers outfielder Carl Crawford and Twins reliever Brian Duensing have missed games already this year for child birth. Minnesota Vikings star running back Adrian Peterson missed three days of training camp in 2011 for the birth of his son. Little attention was paid to any of those absences.